Mary LéCuyer worries in her text about the gap between the Real, and cultural Text. The cultural Text is that which has replaced the Real. It’s the book title that says that Sylvia Plath was mad before we even know who Sylvia Plath was. By extension, it’s the book title that says that women are mad. In the tradition of depicting and describing male madness, there has been a Byronic ideal to uphold. Men, when afflicted with insanity, are typically victims of circumstance and of forces outside of their control; they are geniuses whose creative and intellectual abilities separate them from the ordinary human being, and their madness is either prophetic or eccentrically charming. They are the Victor Frankensteins of Mary Shelley, the Dr Coppeliuses of E.T.A. Hoffman; they are the Strindbergs and the Nietzsches. In the tradition of describing female madness, however, there has been a tendency to employ a rather negatively charged vocabulary. Women are not so much afflicted with insanity, as they quite simply express inherent characteristics of their gender; they are emotionally unstable, sexually loose, and they lack the capacity of rational thought. They are the madwomen of Thornfield Hall, the hysterical Emma Bovarys, the psychotic Rebecca de Winters. Frederic Jameson argued in Postmodernism or the Cultural Logic of Late Capitalism that it is pastiche, as opposed to parody, that characterizes postmodern culture. When cultural expression has absorbed consumer culture/pop culture/mass culture, and eradicated the difference between high and low, fine and base, then everything, presumably, becomes Text. Pastiche does not re-invent, but rather, it recycles and reproduces. “The historical novel,” as Jameson has it, to take an appropriately illustrative example, “can no longer set out to represent historical past; it can only ‘represent’ our ideas and stereotypes about that past […].” In the era of, say, the ‘dead author’, there is little that is unique or distinct about any attempt to narrate the human experience. With the view that all has been said and done, it becomes increasingly difficult for writers to escape the confines of the literary canon: in other words, to escape the texts that helped to create a cultural reality. One of the great cultural challenges for human beings is to navigate through what Jameson, Jean Baudrillard and many other cultural theorists refer to as the simulacrum: that is to say, the notion that our image of reality, through cultural production, has been replaced by the idea of itself (the cultural text that replaces reality). In effect, originally false images of reality can generate new images that in turn are true (as when we start referring to the original lie — for example, when I go up to the counter at McDonald’s to complain that my Big Mac looks nothing like the one on the TV – what can the till operator possibly reply? “I’m sorry, sir, but there is no Real Big Mac. This is it. This is the Truth. The Big Mac you’re holding in your hand is the Real” — or when, as Baudrillard would have it, we refer to the Gulf War, a war that took place on The News rather than in Reality). So, there we are. This, I think, is what we wanted our Feminism Non-Fiction series to be about. We wanted it to say something about the Real. Because that really is the fundamental challenge for feminism. To replace the lies that have become truth, with truth. If there is such a thing, if we’re able to see it when it hits us. I’m not sure we can (see the Truth), but I’m sure we can find a better lie to live by. Lucie, Adrian and I wish to thank all who’ve contributed to this series. We’re so happy to have given a home to your work. Thanks, also, to all who’ve read the series, and who continue to read The Stockholm Review. While I agree with the underlining point of what you’ve written here, it seems misleading to me to not even acknowledge that “Mad Girl’s Love Song” was the title of a poem Plath wrote in 1951 and was published in Mademoiselle a few years later. 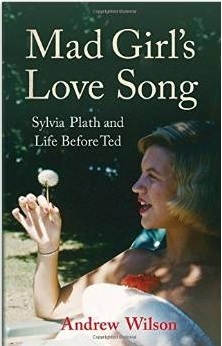 The title “Mad Girl’s Love Song” came from Plath’s own work, and was not something author Andrew Wilson came up with himself. While I agree with the underlining point of what you’ve written here, it seems misleading to me to not even acknowledge that “Mad Girl’s Love Song” was the title of a poem Plath wrote in 1951 and was published in Mademoiselle a few years later. The title “Mad Girl’s Love Song” comes from Plath’s own work, and is not something author Andrew Wilson came up with himself. I don’t, however, think that it is misleading. (Because as far I’m concerned, it doesn’t change anything.) If Wilson wasn’t making a point, he’d’ve called it “A Biography”. But it’s not a biography of her entire life. It’s about the time in her life, before she met Hughes and the men that she dated and her life pre-Ted, the time period in which she wrote the poem “Mad Girl’s Love Song.” Like I said, I agree with your point. The double standard is enraging. 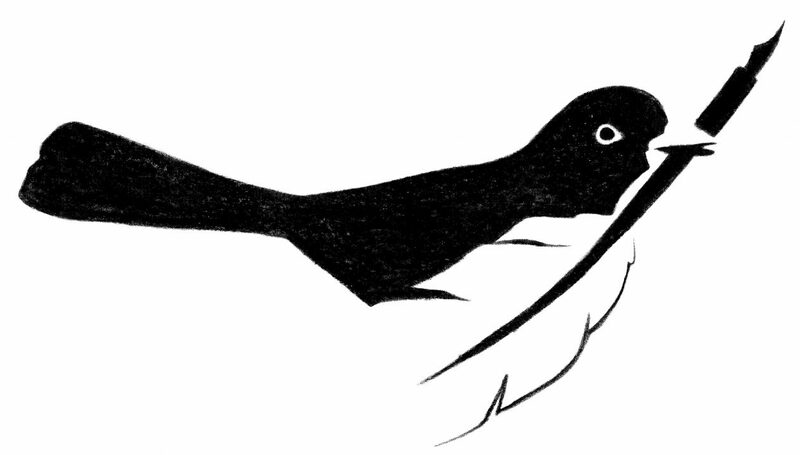 Pingback: The Feminism Non-Fiction Series: An Endnote | My BlogThe Philosopher's blog.